I really enjoyed Andrew Romano’s interview with Rick Rubin for Newsweek. It’s really an inspirational read. I have a lot of respect for Rubin and his body of work is incomparable. You don’t get to work with all of the people that he has worked with, across all of the different genres of music, without knowing what you are doing. I really appreciate his philosophy and his approach. In short, I want to be the Rick Rubin of online community. Ha. Reading the interview, there were a few points in particular that hit home and I wanted to talk about them. On the back cover of LL Cool J’s 1985 debut album, Radio, in the upper left corner of the back cover, there are four words printed in small text: Reduced by Rick Rubin. Rubin, who produced every song on that album, values simplicity. When Kanye West was finishing up his latest album, Yeezus (which I wrote about), he turned to Rubin for help in taking a bunch of unfinished music and turning it into a finished project. West said that, instead of adding to the music, he wanted Rubin to try taking away from it. Andrew Ramano: So you don’t believe that, say, a great melody is necessarily part of a great song? Rick Rubin: No, no. I think one of the things that really drew me to hip-hop was how you could get to this very minimal essence of a song – to a point where many people wouldn’t call it a song. My first credit was “Reduced by Rick Rubin.” That was on LL Cool J’s debut album, Radio. The goal was to be just vocals, a drum machine, and a little scratching. There’s very little going on. AR: Why was that so important to you? RR: There’s a tremendous power in using the least amount of information to get a point across. People want to do so much with community. We “need” to be “more than forums.” We need to do this, this and this. We need to have blogs, a calendar, comments on every piece of content, wikis, chat rooms, photo albums and more. Really, though, most people don’t need all that and they aren’t better served by that. Overloading just spreads you out. This doesn’t mean simplicity to the point of meaninglessness. The best simplicity is that which also holds great meaning because it is focused. Licensed to Ill, the debut album from the Beastie Boys, was another album produced by Rubin. It took two years to create. For a young group, that can seem like an eternity. AR: Usually young people are in a rush. Why did you feel like you could take so much time? RR: From the beginning, all I’ve ever cared about is things being great. I never cared about when they were done. Because I also feel like I want the music to last forever. And once you release it, you can’t go back and fix it, so you really have to get it right. And that takes time. AR: Time can’t be a factor. RR: The things that can’t be a factor are time, chart position, radio success, sales – none of those things can get in the way of something being great. All they do is cloud the picture. For me, community isn’t a series of numbers and calculations. Community is my art and while data informs my decisions, data does not make them for me. Above all else, I’m a soldier of culture. Being the biggest, making the most money, reaching a level of popularity by some arbitrary date at any cost… don’t allow these things to cloud your picture. AR: That brings up some larger questions about the state of the [music] industry. If you had to deliver a diagnosis right now, what would you say is wrong with the record business? RR: People are willing to get short-term gains at the risk of long-term choices. So, if someone can do something to sell a few more records now at the expense of the artist, even if that artist will sell a lot less later, they’ll make that choice. RR: A lot of it has to do with structure, because the structure of the music industry is rooted in a corporate structure. It’s a quarterly business, but art is not a quarterly business. At Columbia, if Beyoncé didn’t deliver a record one year, for whatever reason, that really affected the whole economics of the company. And it’s impossible to build a music company as if you were selling shoes. It’s a different business. It has a different ebb and flow. The highs are higher and the lows are lower. You have to look at it as a longer-term game. Similarly, I don’t believe community is a quarterly business. Community is something you commit to over the long-term. Community has a real ebb and flow. You don’t always gain, you sometimes lose ground, drop in activity – for an extended period. That doesn’t mean that the community isn’t worth it or that something is necessarily wrong because, again, there is an ebb and flow to it all. To realize the truest, biggest benefits, you have to stick around. 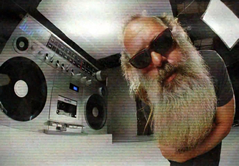 Watch Eminem’s Berzerk, featuring a heavy and insanely cool cameo from Rick Rubin. Warning: explicit.